This book follows logically From Survival to Fulfillment, in its practical applicability to diagnose and repair tears in the human fabric. 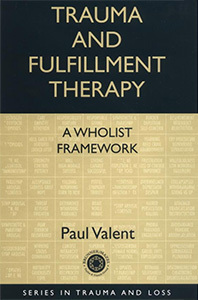 Dr Valent initially reviews the variety of treatments applied over the last century, from Freud and Janet to the current use of drugs, debriefing, EMDR, psychodynamic therapy, and cognitive behaviour therapy. Using his wholist perspective, Dr Valent puts them in perspective and finds their common ingredients.